So, I thought about 'Let's try some black ones!' and I was excited for the result. I already received a few weeks ago a package from klenspop, and everything was fine. This time it included the circle lens pair, a lens case and a tweezer. 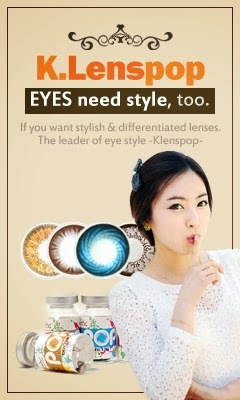 This is how the lenses look like. 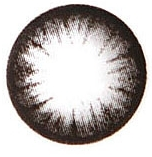 Left: Lens on my eye. There's a pretty nice difference. The black circle makes my eye look bigger and more like a doll. 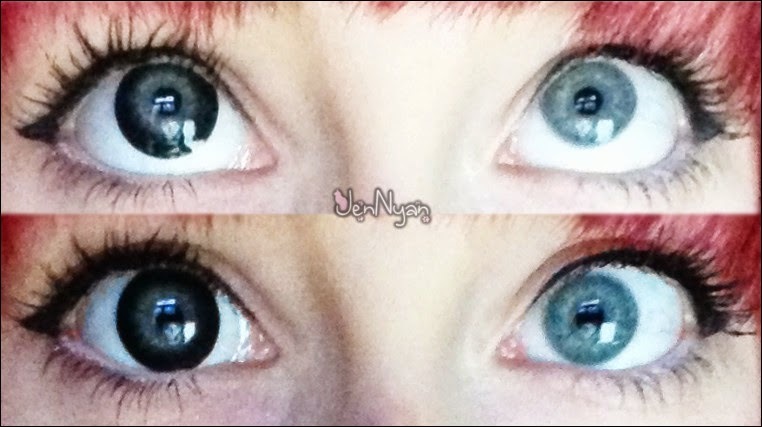 I really like these circle lenses ^o^~ I think it looks pretty adorable and the enlargement is also very nice, even if it's "only" 13.5mm big. I got them easily in and out. No problems wearing them a couple of hours, didn't even notice them! 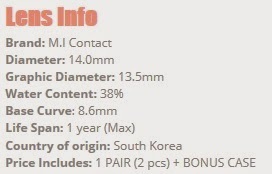 13.5mm isn't that big - but still makes a good enlargement, because of the black circle. It took only 9 days to arrive, and it was very safe packaged. 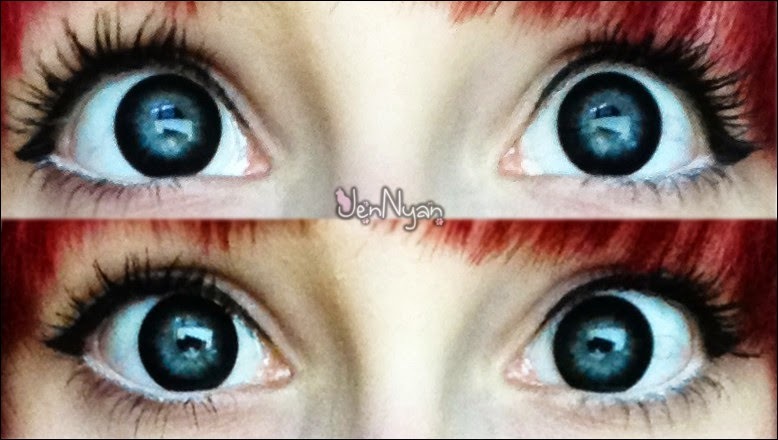 wow *o* I really ove these lenses design!